Penn President Amy Gutmann and Provost Wendell Pritchett are pleased to announce the appointment of George Demiris as the University of Pennsylvania’s 22nd Penn Integrates Knowledge University Professor (PIK), effective January 1, 2018. Dr. Demiris, a leader in new technologies for e-health and home-based health care, will be PIK University Professor, with joint faculty appointments in the department of biobehavioral health sciences in the School of Nursing and the department of biostatistics, epidemiology and informatics in the Perelman School of Medicine. Dr. Demiris’ work uses data and informatics to improve health care delivery and education, especially in advancing home-based technologies for older adults and patients with chronic conditions and disabilities—for example, smart homes, ambient assisted living systems and telehealth for home and hospice care. A Fellow of the Gerontological Society of America and the American College of Medical Informatics, he is the author of more than 200 peer-reviewed journal articles and 20 book chapters, as well as a co-editor of three major books about e-health and smart homes. His work has been widely funded by the National Institutes of Health, National Science Foundation and others, including most recently an NIH R01 grant to conduct a randomized clinical trial of a technology-based intervention for hospice caregivers. Dr. Demiris is currently Alumni Endowed Professor in Nursing, director of the Biomedical and Health Informatics Graduate Program and director of the Clinical Informatics and Patient Centered Technologies Program at the University of Washington, where he has taught since 2006. A native of Greece, he earned a PhD in health informatics from the University of Minnesota following undergraduate and graduate degrees in medical informatics from Heidelberg University. The Penn Integrates Knowledge program was launched by President Gutmann in 2005 as a University-wide initiative to recruit exceptional faculty members whose research and teaching exemplify the integration of knowledge across disciplines and who are appointed in at least two Schools at Penn. Daniel P. Kelly, a renowned cardiac metabolism expert, joined Penn Medicine in August as the director of the Penn Cardiovascular Institute (CVI), a multi-disciplinary group of researchers and physicians dedicated to scientific discoveries and medical breakthroughs in heart and vascular care. He will lead a cross-disciplinary team of basic, translational and clinical researchers, leveraging laboratory research to develop the next generation of therapies for cardiovascular disease. Dr. Kelly joined Penn from Sanford Burnham Prebys Medical Discovery Institute (SBP) at Lake Nona near Orlando, where he began as the Institute’s founding scientific director in 2008. Under his leadership, the SBP-Lake Nona’s research program grew significantly, the organization established collaborative partnerships with academic institutions, industry and health systems, and became a transformational driver in the development and expansion of science and medicine in Florida. As a physician-scientist, Dr. Kelly has spent the majority of his career focusing on the metabolic origins of heart muscle diseases, specifically looking at the connection between gene regulatory circuits and complex acquired cardiovascular and metabolic diseases. 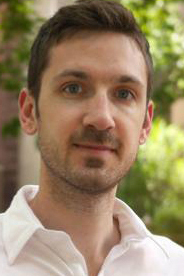 In an effort to discover new therapeutic targets and biomarkers, the Kelly laboratory has focused on the use of genomic, proteomic, lipidomic and metabolomic profiling of animal disease models and in human disease phenotypes to examine the pathways that regulate heart and skeletal muscle energy metabolism in search of new therapeutic targets. In addition to his research and academic work, Dr. Kelly has been involved with a number of professional organizations, including the American Heart Association, the American College of Cardiology, the International Society for Heart Research and the Association of University Cardiologists. He serves as an associate editor for the Journal of Clinical Investigation and the Journal of the American College of Cardiology: Basic to Translational Science, and is on the editorial board for Nuclear Receptor Signaling. After earning his bachelor’s in biology from the University of Illinois, Dr. Kelly earned his medical degree at the University of Illinois College of Medicine. In St. Louis, he did his residency at Barnes Hospital and a postdoctoral research fellowship and a clinical cardiology fellowship at the Washington University School of Medicine. He spent the majority of his career in the Midwest, before moving to Florida to lead the evolution of the SBP-Lake Nona site. Timothy Rommen, professor of music, has been named Davidson Kennedy Professor in the College of Arts & Sciences. An ethnomusicologist who specializes in the music of the Caribbean, Dr. Rommen is the author of two books, including ‘Mek Some Noise’: Gospel Music and the Ethics of Style in Trinidad, which was awarded the Alan P. Merriam Prize by the Society for Ethnomusicology. Dr. Rommen’s research has been supported by numerous grants and fellowships, including a Guggenheim Memorial Foundation Fellowship and a Rockefeller Resident Fellowship from the Center for Black Music Research at Columbia College Chicago. At Penn, he is currently interim chair of the department of Africana studies and has served as undergraduate chair and graduate director for the department of music, faculty director of the Undergraduate Humanities Forum and a member of the SAS Personnel Committee and the Faculty Senate Subcommittee on Research. He received his PhD in ethnomusicology from the University of Chicago. The Davidson Kennedy chair was established in 1994 through the bequest of the late Josephine Rankin Kennedy and is named in memory of her husband. The chair supports a distinguished faculty member who displays excellence in teaching, innovation in curriculum development, service to students and first-rate scholarship. The University of Pennsylvania has been awarded a grant of $1.5 million over four years from the Andrew W. Mellon Foundation to support the Penn Program in the Environmental Humanities (PPEH). PPEH is a Penn Arts and Sciences initiative that combines scientific and humanistic inquiry to better address issues surrounding energy, sustainability and the environment. The grant will allow Penn to train undergraduate and graduate students in the environmental humanities, as well as to expand public engagement with diverse local, national and global partners. The Mellon grant will support PPEH as it moves out of its transition phase and makes sustainable investments in four priorities: interdisciplinary research, the collection and maintenance of vulnerable data, the unique environmental challenges of global cities and public engagement via arts and cultural institutions. PPEH will use the funds to develop deeper and more integrated training and research opportunities for students and faculty, including an undergraduate minor and graduate certificate. The program plans to expand community outreach activities with the creation of additional artists’ residencies, public workshops and lectures, digital resources and both mobile and stationary art installations. The Deans of the health schools of the University of Pennsylvania (Perelman School of Medicine, School of Nursing, School of Dental Medicine, and School of Veterinary Medicine) announce an Award for Excellence in promoting One Health initiatives and education. The One Health concept is a worldwide strategy to expand interdisciplinary collaboration and communication in all aspects of healthcare. Interdisciplinary One Health efforts arose with the goal of sharing knowledge of health care and preventive measures to attain optimal health for people, animals and the environment. Government, professional and academic institutions around the world have committed to promoting these important One Health efforts to improve global health. For more information, visit Penn Vet One Health. The four-school One Health Committee invites nominations for candidates who are full-time staff or faculty members engaged in professional education that bridges two or more of the schools with outreach/innovation in training and service in clinics or to the community. Collaborative research focused on healthcare education, clinical outcomes, or real-world impact will receive more favorable consideration than strictly laboratory collaborations. The winner(s) will be awarded the prize at a reception on Wednesday, November 8, 2017. To nominate a staff or faculty member from the Penn community, send a letter of recommendation, which describes the candidate’s contributions to: One Health, Cerie O’Toole at cerieo@vet.upenn.edu by Friday, October 6, 2017. The University Research Foundation (URF) is now accepting applications for the 5 p.m. October 20 deadline. The URF is an intramural program that provides three funding mechanisms: Research and Conference Support, Impact Seminar Grants and Research Opportunity Development Grants. The program has moved to an online submission system. Complete details are available on the website. URF Impact Seminar Grants will make awards up to $20,000 for support for a cross-school, cross-disciplinary large scale event to be held on Penn’s campus within a year of the award. Funding for this award can be used to augment an already scheduled University event. 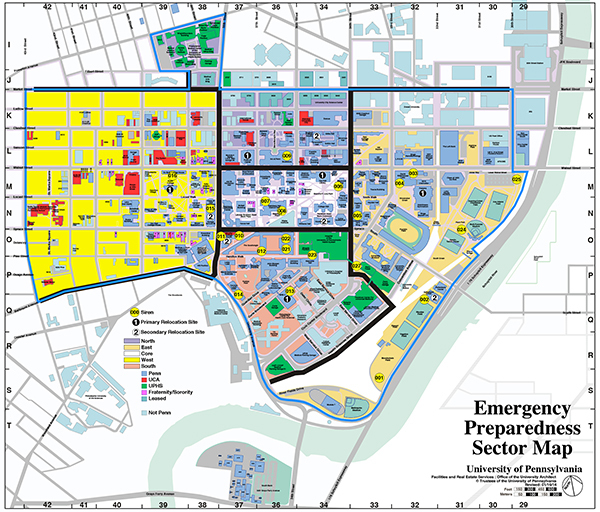 Priority will be given to new unscheduled events that are still in the planning stage. The event—which can be a symposium, forum or conference—should occur over one to two days and be open to the entire Penn community. It should highlight the scholarship of Penn faculty and bring eminent scholars to Penn’s campus, with a particular focus on the University’s distinguishing strength in integrating knowledge. Documented school/department or external sponsor matching funds are required. The Research Opportunity Grant program (Phase 1 and Phase 2) is designed to facilitate the intersection of the forward trajectory of Penn’s research frontiers with the trajectory of the national and global research priorities. RODG applications should map on to emerging research areas with new opportunities for support. Awards from these programs should be used to develop preliminary information and data for new applications in emerging research areas where Penn can stake out a leadership position. The two programs are described below. With an identified new research area in mind, Phase 1 grants enable a team to articulate the research focus, map Penn’s intellectual assets in the new area, coalesce the appropriate group of scholars, identify Penn’s potential contributions in the area in the context of national and international research initiatives and identify a funding target. Typically a Phase 1 proposal would lead to a Phase 2 application. Applications up to $10,000 will be considered. Phase II grants offer extensive support for up to two years to enable specific outcomes in support of a multi-investigator proposal in an emerging research topic in the context of national or international research initiatives or grand challenges from external sponsors in which Penn can stake out a leadership position. Activities include research workshops, preliminary studies, networking in the relevant research community, etc. Specific outcomes are expected. Documented matching department and/or school funds will be considered positively. Applications with requests from $50,000 to $200,000 will be considered. Note that Phase II grants are not intended to support the development of proposals that respond to regular solicitations such as those for NIH RO1 grants or NSF Division programs. Eligibility for all award programs: Eligibility is limited to Penn assistant, associate and full professors, in any track. Instructors and research associates must provide a letter from their department chair establishing that the applicant will receive an appointment as an assistant professor by the time of the award. Emeritus and adjunct faculty are not eligible to apply. Awards must be expended on University of Pennsylvania facilities, equipment and/or associated University technical staff and undergraduate students. Detailed information including application materials can be found at University Research Foundation. In the recent Spring 2017 cycle of Penn’s internally-funded University Research Foundation, the Office of the Vice Provost for Research has announced awards (Conference and Seminar Support noted with *) to the following members of the faculty for the projects listed below. Zoltan Arany, Perelman School of Medicine, Cardiology; Does Exercise Promote Cancer Progression? Actionable Intelligence for Social Policy (AISP), a joint effort between the University of Pennsylvania School of Social Policy & Practice (SP2) and Graduate School of Education (GSE), will launch a training and technical assistance program for state and local governments interested in developing integrated data systems, or IDS. These systems enable governments to harness data across multiple agencies to improve policy analysis and establish more effective programs. Since its inception in 2009, AISP has fostered the development, use and innovation of IDS for policy analysis and program reform. AISP coordinates an existing network of 16 states and counties with IDS capacity. The new training program will involve an inaugural stand-alone IDS learning community of eight states and two counties. This community will be guided through a newly-developed curriculum based on the expertise of AISP researchers and network practitioners. “With this new initiative, more than half of the United States’ population will be in a jurisdiction with an integrated data system, bringing smarter, better and faster government policy making, as well as a vast set of opportunities for social science research and program evaluation,” said Dennis Culhane, a professor and Dana and Andrew Stone Chair in Social Policy in SP2 and AISP co-principal investigator. The 10 jurisdictions to be part of the inaugural IDS learning community are California, Colorado, Connecticut, Iowa, Massachusetts, Oregon, Rhode Island and Utah and Broward County, Florida, and King County, Washington. The learning community initiative will assist jurisdictions with developing a governance process, preparing a legal framework and creating a data and technology plan. Five more jurisdictions will be chosen later this year to form a second learning community that will launch in 2018. Over the last year, AISP convened experts in key areas of IDS development. They produced four reports which are being used to create the learning community curriculum. Experts who wrote and prepared the reports include faculty from five schools at Penn: AISP co-principal investigators Dr. Culhane and John Fantuzzo, the Albert M. Greenfield Professor of Human Relation at GSE; Penn Provost Wendell Pritchett, a professor in Penn Law; Jeffrey Vagle, an associate professor of computer and information science in the School of Arts & Sciences and lecturer in Penn Law; Andreas Haeberlen from the department of computer and information science in the School of Engineering & Applied Science; and Ken Steif, a lecturer in the School of Design. The expert panel reports were funded through The Laura and John Arnold Foundation. Curriculum development was further supported by the John D. and Catherine T. MacArthur Foundation. The Learning Community will be funded through the Annie E. Casey Foundation. Paul F. Miller Jr., W’50, HON’81, Emeritus Trustee and former board chair at University of Pennsylvania, died on September 9. He was 89. Mr. Miller grew up in Philadelphia and enlisted in the U.S. Coast Guard in 1945 after graduating from Lower Merion High School. He served until the end of World War II. Mr. Miller graduated from Penn in 1950 with a bachelor’s degree in economics. He worked at the Federal Reserve Bank and Drexel & Co. before founding Miller Anderson & Sherrerd in 1969, an early “boutique” investment management firm. He sold the business to Morgan Stanley in 1996 and went on to direct several corporations, including Hewlett-Packard, Mead Corporation, SPS Technologies, Rohm and Haas, Reliance Insurance, Berwind and Yarway. Mr. Miller became a Penn Trustee in 1966 and became Chair of the Board in 1978 (Almanac June 15, 1978). While serving as Chair, he led the Trustees in conducting the presidential search that resulted in the appointment of Sheldon Hackney as president in 1981. Mr. Miller continued in that role until 1986. Mr. Miller served as co-Chair of Penn’s 250th Anniversary Celebration. In the early 1990s, he co-chaired the Campaign for Penn: Keeping Franklin’s Promise. This campaign raised more than $1 billion, tripling the University’s endowment and breaking fundraising records. He also served as marshal for the Alumni Parade for his 65th reunion. Mr. Miller also contributed to other Penn endeavors: he was Chair of the Board of Managers of the Hospital of the University of Pennsylvania, was an Overseer of the Wharton School and of the School of Arts & Sciences, was a member of the Committee on Undergraduate Financial Aid and the Agenda for Excellence Council and was an officer of the Class of 1950. He and his wife, Warren, donated a leadership gift toward the construction of Wharton’s Huntsman Hall; created endowed chairs in SAS, Wharton and PennDesign; and supported the Paul F. Miller Jr. Scholarship Fund. They also donated to Penn Medicine, Athletics, Penn Museum and The Penn Fund. The couple’s gift named the Meyerson Conference Room at Van Pelt Library in honor of former Penn President Martin Meyerson. Mr. Miller was awarded an honorary degree from Penn in 1981. 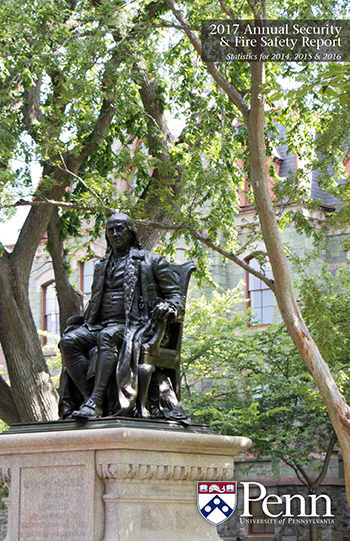 His citation stated he was more knowledgeable about Penn than any chair of the Board of Trustees since Benjamin Franklin. In 1982, Mr. Miller was recognized with Penn’s Alumni Award of Merit and in 2014, he was inducted into the Penn Athletics Hall of Fame, Class IX. In addition to his honorary doctorate from Penn, he received an honorary degree from Washington and Lee University. In 2006 he published a memoir, Better than Any Dream. He is survived by his wife of 65 years, Ella Warren; his sister, Mary Anne Scott; three children, Winky Merrill, Kathy and Paul (Buzz) Miller III; and six grandchildren, Ryan Merrill, Jakefield Merrill, Maggie Merrill, Tor Carlson, Livia Carlson and Paul F. Miller IV. Chair’s Report. After introductions, Faculty Senate Chair Santosh Venkatesh welcomed the members of the Senate Executive Committee (SEC) and offered a brief review of the Senate and its structure. He indicated that the responsibility of SEC is to be the central mechanism for input and feedback for faculty at Penn. He especially encouraged the 36 “constituency members” of SEC to communicate the Senate’s work regularly to their Standing Faculty constituents; a full list of constituencies is available on the Senate’s website. Past Chair’s Report. Faculty Senate Past Chair Laura Perna reported that the Campaign for Community (C4C) is beginning its third year and is accepting applications for funding from organizations that are holding campus-based events aligned with C4C’s goals of promoting understanding of and respect for multiple points of view on important topics related to the University community, encouraging dialogue and discussion among members of the community about issues with the potential for difference and disagreement and creating opportunities for all members of the University’s community to participate in conversations about important topics. Applications are sought via the C4C website from faculty, students and staff this year on a rolling basis for both novel programming and for events already in the planning process. Update from the Office of the General Counsel. Senior Vice President and General Counsel Wendy White informed SEC members of the status of the unionization effort being undertaken by some graduate and professional students. Knowledge Teach-In Planned for the Week of March 19, 2018. Professor Venkatesh described the Senate’s plan to convene a pan-University “Teach-In” from March 19-22, 2018, organized around the theme of knowledge. He noted that this is the first time the Senate has planned such an event. SEC members discussed approaches to successfully convening the event. A planning committee (known as the “Senate Ad Hoc Committee on Engagement with the Academic Mission) will meet at the end of the month and includes participation from staff and student leadership groups. Professor Venkatesh invited any and all Penn community members to contact the Senate office at senate@pobox.upenn.edu and become involved in the effort. October 4, 2017–location TBA, 3-5 p.m.
November 1, 2017–location TBA, 3-5 p.m.
November 29, 2017–Glandt Forum, Singh Center for Nanotechnology (3rd Floor), 3-5 p.m.
January 10, 2018–Meyerson Conference Room, Van Pelt Library (2nd Floor), 3-5 p.m.
February 7, 2018–Meyerson Conference Room, Van Pelt Library (2nd Floor), 3-5 p.m.
March 14, 2018–Meyerson Conference Room, Van Pelt Library (2nd Floor), 3-5 p.m.
April 4, 2018–Meyerson Conference Room, Van Pelt Library (2nd Floor), 3-5 p.m.
May 9, 2018–Glandt Forum, Singh Center for Nanotechnology (3rd Floor), 3-5 p.m.
A meeting of the Executive Committee of the Trustees and a meeting of the Budget & Finance Committee will be held on Thursday, September 28, in the South Tower, 15th Floor Conference Center, Perelman Center for Advanced Medicine (PCAM). Contact the Office of the University Secretary at (215) 898-7005 with your plans to attend. University Council meetings are held Wednesdays, 4-6 p.m., Bodek Lounge, Houston Hall. Contact the Office of the University Secretary at (215) 898-7005 with your plans to attend. PPSA Open Board meetings are open to any monthly-paid exempt university staff. All meetings take place noon-1 p.m.
Friday, May 11, 2018, School of Nursing. The WPPSA Executive Board invites all non-exempt staff to attend general membership meetings. WPPSA’s scheduled meetings for the remainder of the 2017 Fall Semester are brown bag meetings, but light snacks will be available. The Network Policy Committee, IT Roundtable and the Vice President for ISC have announced the new Mobile Device Encryption Policy which was approved on August 18, 2017. This policy describes the requirements for encrypting Penn-owned mobile devices. The purpose is to protect the confidentiality, integrity and availability of University data stored on those devices. It applies to all Penn-owned mobile devices running a workstation-class operating system supported by Penn, and capable of doing native full-disk encryption, except for Temporary Use Mobile Devices (as defined in the policy). The Network Policy Committee’s charge and policy approval process are available online. This policy will be effective on December 13, 2017 for new mobile devices and on September 13, 2018 for existing mobile devices. If a school or center security liaison believes that the school or center cannot comply with this timeframe, he or she may petition for an extension. The full policy text can be found online. David F. Dinges, chief of the division of Sleep and Chronobiology, and director of the Unit for Experimental Psychiatry in the Perelman School of Medicine (PSOM) at the University of Pennsylvania, was recognized with the Nathaniel Kleitman Distinguished Service Award from the American Academy of Sleep Medicine. 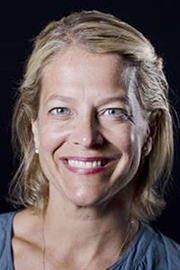 Dr. Dinges, who is also professor and vice chair for faculty affairs and professional development in psychiatry at PSOM, has published extensive federally-funded seminal research on the acute, chronic and cumulative effects of sleep restriction and how sleep need and circadian biology interact to influence physiological and neurobehavioral functions in healthy adults. Dr. Dinges has been a major contributor to public discussions and policies related to identifying and preventing the risks posed by inadequate sleep and has published more than 300 scholarly articles that have facilitated public health recommendations, public policies pertaining to prevention and detection of fatigue and standards related to duty hours in safety-sensitive occupations. He is the creator of the psychomotor vigilance test, one of the most widely used assessments for behavioral alertness pertaining to sleep need and circadian timing. Ivan Drpić, associate professor of art history at the University of Pennsylvania and a specialist in Byzantine art, has received the 2017 Runciman Book Award from the Anglo-Hellenic League in London. Dr. Drpić won for his 2016 book Epigram, Art and Devotion in Later Byzantium, which focuses on verse inscriptions on works of art created in the last centuries of the Byzantine period, from about 1100 to 1450. The award, founded in 1986, is given each year for a work about Greece or the world of Hellenism, published in English in its first edition in the previous year, with a goal to stimulate interest in Greek history and culture. Lee McGuigan, a fourth-year doctoral student at the Annenberg School, is one of two winners of the 2017 Dallas Smythe Award from the International Association for Media and Communication Research. The annual award, named for Dallas Smythe, a founder of the field of political economy of communication, recognizes a paper that combines scholarly excellence and a critical, innovative and engaged spirit. Mr. McGuigan’s paper, “The Productive Capacity of Commercial Television: An Approach for Analyzing Media Systems in Society,” analyzes commercial television in the United States as a sociotechnical system oriented around the production of consumers. He suggests that capacity—the maximal limits of industrial output —is a key concept for thinking about media, technology and society. Mr. McGuigan holds a master’s degree from the University of Western Ontario, and is the co-editor of the 2014 book The Audience Commodity in a Digital Age: Revisiting a Critical Theory of Commercial Media. 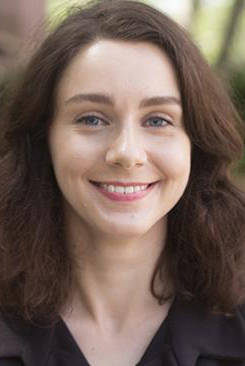 Hanna E. Morris, a first-year doctoral student at Penn’s Annenberg School, is the recipient of the 2017 New Directions for Climate Communication Research Fellowship, jointly awarded by the International Association for Media and Communication Research (IAMCR) and the International Environmental Communication Association (IECA). The fellowship is awarded biennially to an IAMCR member for an outstanding and innovative research proposal. Ms. Morris’ proposal, Painting with Light: Climate Change and the Photographic Imaginary, focuses on the effort by a small group of photographers to represent the reality of climate change. She will interview six photographers from around the world and conduct a visual ethnography of their digital and on-site photographic exhibitions. Eric Schelter, associate professor of chemistry in the School of Arts & Sciences at the University of Pennsylvania, and his research group, recently won the Environmental Protection Agency’s 2017 Green Chemistry Challenge Award. Dr. Schelter and colleagues were chosen for developing a simple, fast and low-cost technology to help recycle rare-earth materials. The US uses about 17,000 metric tons of rare-earth every year in products such as wind turbines, lighting phosphors, electric motors, batteries and cell phones. The mining, refining and purification of these materials can have a negative impact on the environment, yet only 1% of materials are recycled. Dr. Schelter is working in his lab to extract the valuable materials from post-consumer products like permanent magnets and lighting phosphors, and enable “circular economies” for their reuse while minimizing added cost and pollution. The federal Jeanne Clery Disclosure of Campus Security Policy and Campus Crime Statistics Act, as amended, requires colleges and universities to provide information related to security policies and procedures and specific statistics for criminal incidents, arrests and disciplinary referrals to students and employees, and to make the information and statistics available to prospective students and employees upon request. Federal law also requires institutions with on-campus housing to share an annual fire report with the campus community. In addition, the Uniform Crime Reporting Act requires Pennsylvania colleges and universities to provide information related to security policies and procedures to students, employees and applicants; to provide certain crime statistics to students and employees; and to make those statistics available to applicants and prospective employees upon request. To review the University’s most recent annual report containing this information, please visit Public Safety (pdf). You may request a paper copy of the report by calling the Office of the Vice President for Public Safety and Superintendent of Penn Police at (215) 898-7515. 19 The Hamlet Fire; Bryant Simon, Temple University; 7 p.m.; Penn Bookstore. 25 Inheriting Possibility: Social Reproduction and Quantification in Education; Ezekiel Dixon-Román, social policy and practice; 5 p.m.; Penn Bookstore (SP2). 26 The Girls Auto Clinic Glove Box Guide; Patrice Banks; 6 p.m.; Penn Bookstore. 27 Free Speech on Campus; Sigal Ben-Porath, education; 6 p.m.; Penn Bookstore. This year’s Penn Global Week includes the following featured events at various locations around campus. For more information and a complete schedule, Penn Global Week. 25 Media Politics in China: Improvising Power under Authoritarianism; Maria Repnikova; noon-1 p.m., 6th floor, 3901 Walnut (Center for Advanced Research in Global Communication). Penn Abroad Open House: Going Abroad 101; 3- 5 p.m., Penn Abroad, International House. 26 Perry World House Conference: The Future of the Global Order in an Era of Nationalism, Populism and Retrenchment; 9 a.m.-3 p.m., Perry World House; followed by the Inaugural Penn Biden Leaders Dialogue; 4-5:30 p.m., Irvine. Register via Eventbrite. 27 Unpacking the Classroom; Penn Abroad, International House. Workshops to help adjusting to life in the U.S. or abroad; 12:30-1:30 p.m., Weingarten Center. 28 Global Expo: Study Abroad, Work Abroad, Explore our Global Campus; 11 a.m.- 3 p.m., Houston Hall. Penn World Stage—LIVE! Arts and Culture Showcase, 5-7 p.m., Perry World House. 29 Info Session: Summer and Short-term opportunities for SEAS Students; 12:30-1:30 p.m., room 114, Skirkanich Hall. Info Session: Global Internship Program; 2-3 p.m., Penn Abroad, International House. 21 Quechua Program Welcoming Event; Rocío Quispe-Agnoli, Michigan State University; 6 p.m.; Greenfield Intercultural Center (Quechua Language Program). The Penn Professional Staff Assembly (PPSA) and the Penn Weekly-Paid Professional Staff Assembly (WPPSA), in partnership with the offices of the Executive Vice President and the Division of Human Resources, are co-sponsoring an Employee Resource and Volunteer Fair on Wednesday, October 4, 2017 from noon-1:30 p.m. in Bodek Lounge and the Reading Room, Houston Hall. The purpose of the fair is to provide information to employees regarding the vast and varied campus resources and services available to them as well as volunteer opportunities. The fair will be open to the entire Penn community. We are excited to offer you an opportunity to participate in the 2017 Employee Resource Fair. We would welcome representation from your area and encourage you to showcase your services. If you would like to participate, pre-registration is required, and we ask that two representatives from your office staff a table. Typically, participants bring both informational and promotional materials on their services, brochures, giveaways, etc. Please feel free to advertise your participation in the Resource Fair through your email lists and newsletters. Set-up will take place from 11 to 11:45 a.m. and breakdown from 1:30 to 2 p.m. In addition to the Employee Resource Fair, there will be a Volunteer Fair organized in tandem with the event. This Volunteer Fair will take place in the Reading Room next to Bodek Lounge. PPSA invites groups from the Philadelphia area to inform members of the Penn community about the volunteer opportunities they have available. There will be approximately 10-15 local nonprofits represented at the fair. Space is limited. Celebrate traditional and modern Korean culture at Morris Arboretum on Saturday, September 30, 11 a.m.-3 p.m. Discover this Asian culture through music, garden tours and food. Experience Korean music performed by two University of Pennsylvania student groups; both with a unique sound expressing the soul of the nation. Penn DuRe, a traditional drum troupe, two 15-minute performances at 11:30 a.m. and 1:30 p.m.
Penn Sori, an a capella singing group of Penn students, two 15-minute performances at noon and 2 p.m.
Zelkova serrata which towers over the Springhouse by the Azalea Meadow. 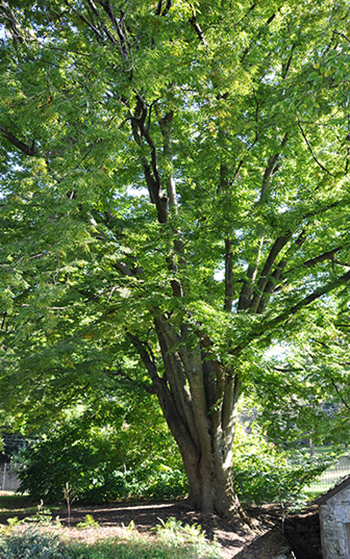 In Korean folklore, the tough trunk of the Zelkova symbolizes a strong will and the attractive leaves symbolize politeness; these trees are known as “good spirit” trees. 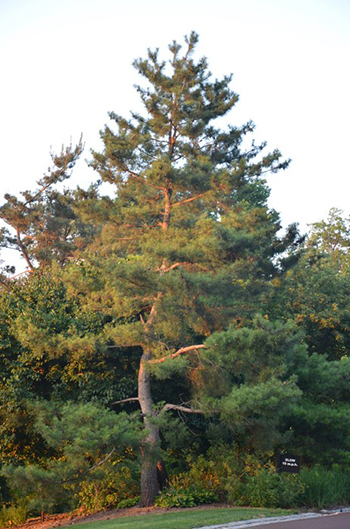 Pinus densiflora the national tree of Korea, will also be on the tour. Hear stories about this tree’s spiritual and material influence on the Korean people for 5,000 years. Before and after the walking tour, sample complimentary Korean food favorites, such as kimchi and Asian pears, while supplies last. For a full lunch of Asian flavors, visit the Compton Café, the Arboretum’s on-site restaurant that will feature Korean BBQ and kimchi guk, a traditional Korean soup. This event is made possible by a grant from the University of Pennsylvania’s Provost Interdisciplinary Arts Fund. Included with garden admission. About the Crime Report: Below are all Crimes Against Persons, Property and Crimes Against Society from the campus report for September 4-10, 2017. View prior weeks' reports. —Ed. Below are the Crimes Against Persons from the 18th District: 10 incidents with 6 arrests (1 domestic assault, 2 assaults and 7 robberies) were reported between September 4-10, 2017 by the 18th District covering the Schuylkill River to 49th Street & Market Street to Woodland Avenue. The Weingarten Learning Resources Center (WLRC) invites workshop presentation proposals for next year’s 17th Annual Disability Symposium to be held on Friday, April 13, 2018. They are looking for those who are interested in presenting their expertise in the field of disabilities and disability services. Those interested should submit their proposals online. All workshop presentation sessions are 1 hour and 15 minutes in length and 15 minutes for questions afterwards. The deadline for submissions is Friday, October 13, 2017.